Although it is already November, it is still not that cold in many areas. So this is a great time to take out your leather jacket. Leather jackets are one of the essential pieces of men fashion clothing. Those edgy jackets that keep you warm are very popular in this season. 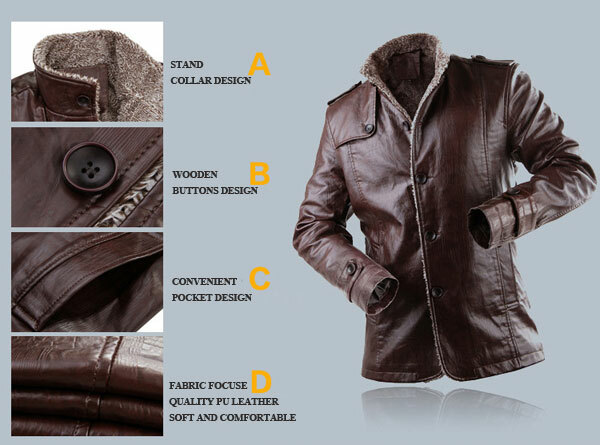 Usually leather jackets are considered as the symbol of masculinity and strong appearance. However, if you pair them smartly, you can create different styles with the classic piece. If you want to attract everyone’s attention with a classic brown pu leather warm jacket, you may consider team it with unique pants. One simple way is go for unique colors such as this lavender pants. So the rest of the outfit stay low profile to go with the pants. A light-colored jacket is a nice try. Light and warm colors bring more vitality to this season. And you’ll look edgy and masculine with the shearing line. It’s better to match light-colored clothing inside. 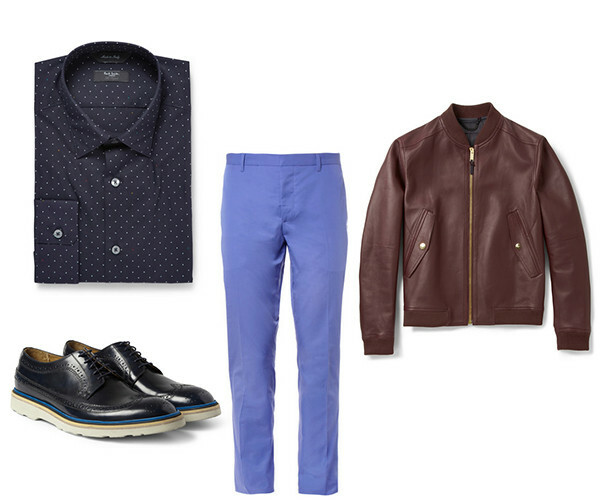 As for the shoes, bright and sharp colors would be even greater if they echo the top. This slate grey motor jacket looks chic and strong with the hardware like studs or chains. 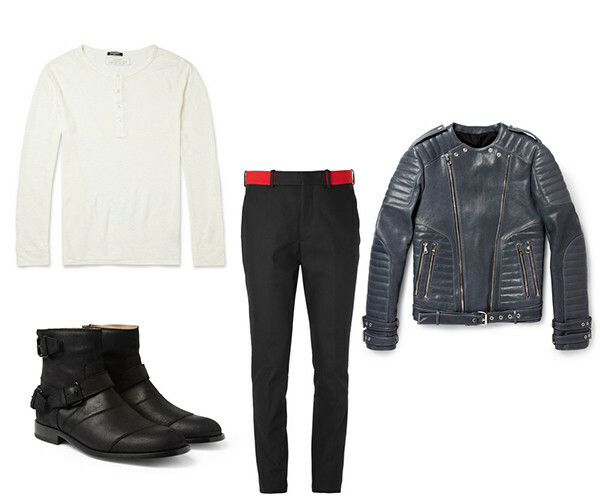 To pair with such a sophisticated jacket, you can wear black skinny pants and leather boots. 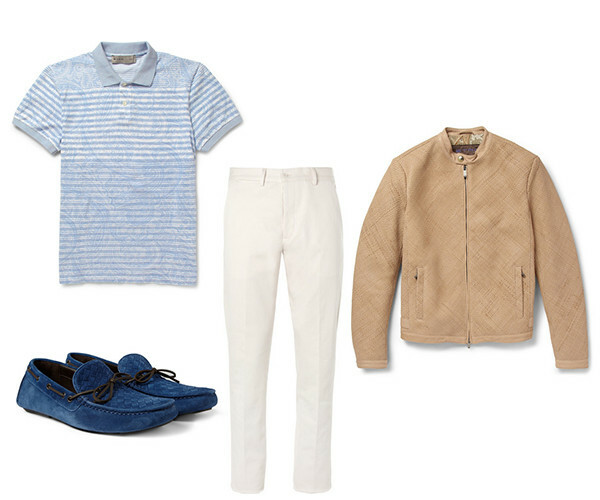 Choose a light-colored top so the outfit won’t be dull and plain. This blue bomber leather jacket has unique color. If you choose dark-colored clothing to pair with it, you will make it look dull and boring. 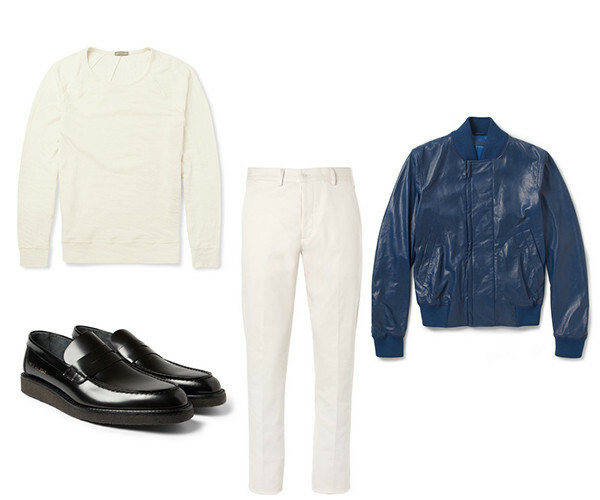 On the contrary, a cream top and white pants can better set off its bright color. Camel is one of the classic colors of leather jacket. Compared with brown, camel jackets are more suitable for casual look. 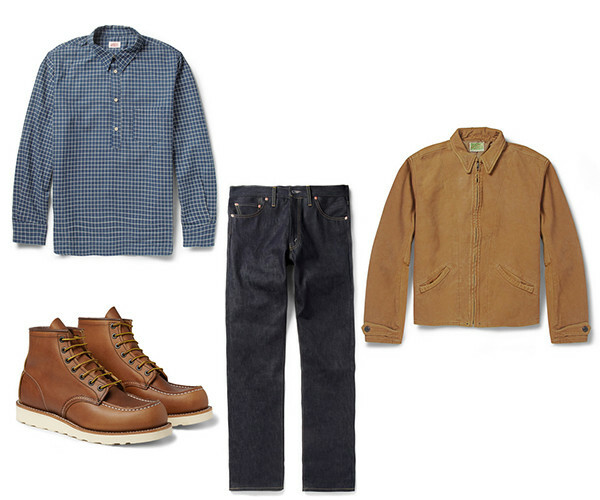 Choose a plaid shirt instead of a pure-colored one. You can wear a pair of lace boots rather than pointed leather boots.